A bright and well-arranged holiday house with a whirlpool and sauna in the bathroom. 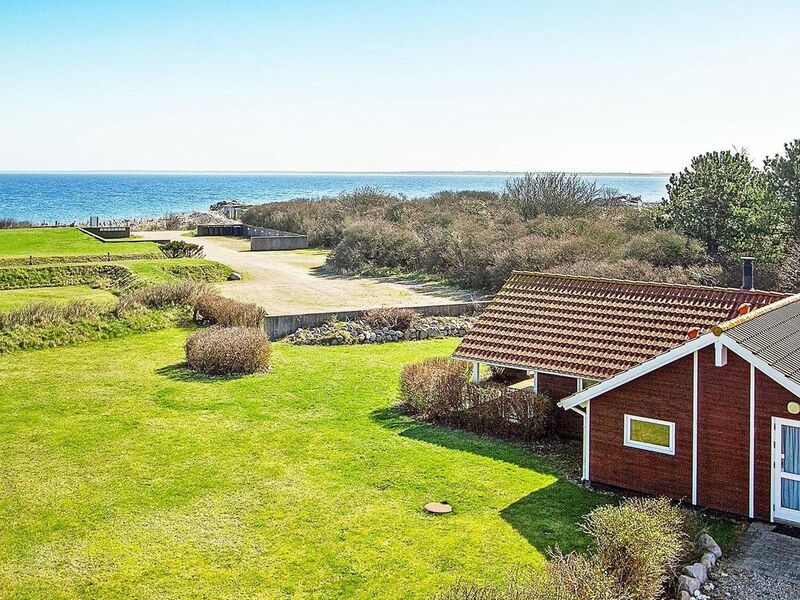 It is located on a lovely plot with a yard, trees and plants, and a view of the sea. The beach is only approx. 100 metres away, you only need to cross the road. Open kitchen with a dining section and living room with a pellet-burning stove. Combined entrance and laundry room with washing machine and tumble dryer. Enjoy the view of the sea from the terrace while preparing a barbecue on the grill.